Massive Attack will celebrate the 20th anniversary of their landmark 'Mezzanine' with a limited edition reissue boasting unreleased remixes. Massive Attack will celebrate the 20th anniversary of their landmark 1998 album Mezzanine with a limited edition reissue that boasts unreleased remixes and more. 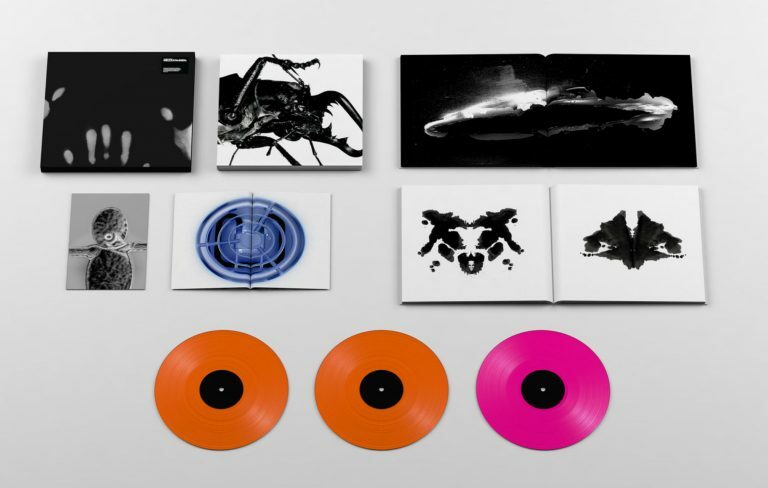 The limited edition reissue also feature three colored vinyls, “a 48pp hardback book featuring photos from Nick Knight that show the development of the striking cover imagery + an additional 32pp booklet which is a new edition of the art-book Fitting In” by Massive Attack’s Robert Del Naja. The box set, housed in a heat sensitive book, is available to preorder now ahead of its December 7th release.